Recently I spent a few days at Agnes Water in Central Queensland. Agnes Water is a coastal town just south of the Tropic of Capricorn, so it is an ideal place to escape the harsh winter of my part of Australia. The following photos are just a few of the species I encountered in the natural world of Agnes Water. Our holiday accommodation faced east, and was high up on a hill, so watching the sunrise each morning was a delight. This Australasian Figbird (Sphecotheres vieilloti) was enjoying her breakfast in a nearby, well, fig tree. As I stood on the veranda, waiting to see which birds would appear, my attention was drawn to this Brown House Spider (Steatoda sp) backlit by the early morning sun. When I saw this Grevillea in a local park, I knew it would not be long before one of the many Blue-faced Honeyeaters (Entomyzon cyanotis) appeared. I have finally finished processing my photos from last weekend, which, of course, was a long weekend here in Australia. We spent our Easter break on a farm just outside Dunkeld which is the “gateway” to the Grampian Mountains and National Park. The following photos were taken at that property. The following photographs were taken last night. It was four nights into the new year, and the signs were there that we could be in for a good sunset.Clouds are an integral part of sunset. I arrived about an hour before sunset. 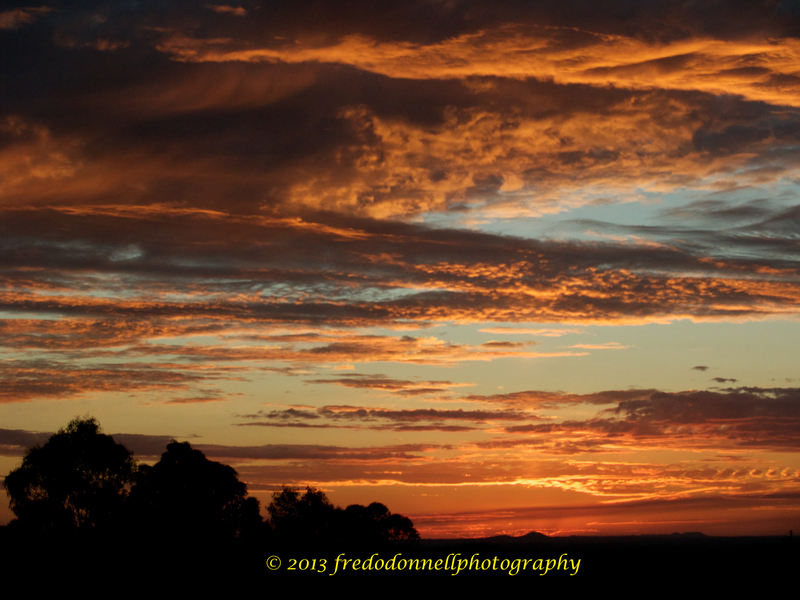 With the sun still above the horizon it gave the clouds a beautiful golden glow. When the sun disappeared below the horizon, the formation of the clouds changed. We all know that the real show starts well after the sun has left the stage. 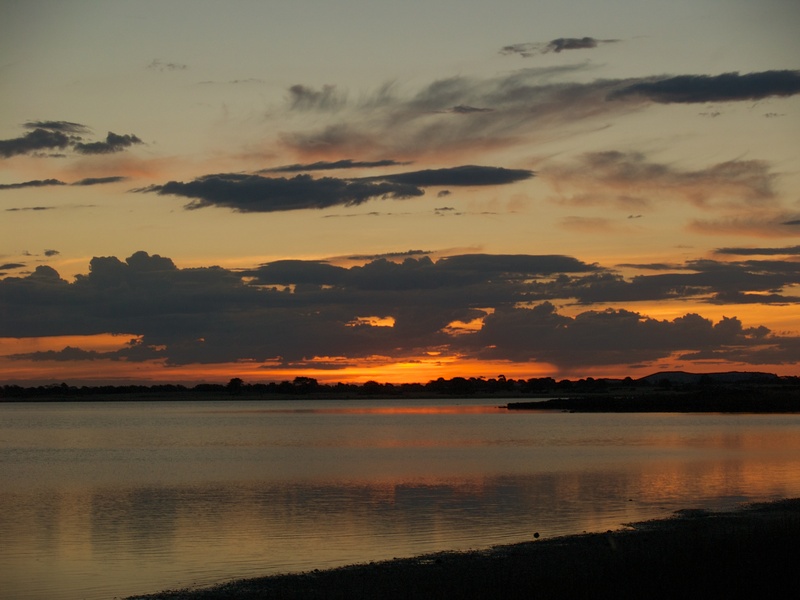 Last night at sunset I was in Meredith Park on the northern end of Lake Colac. 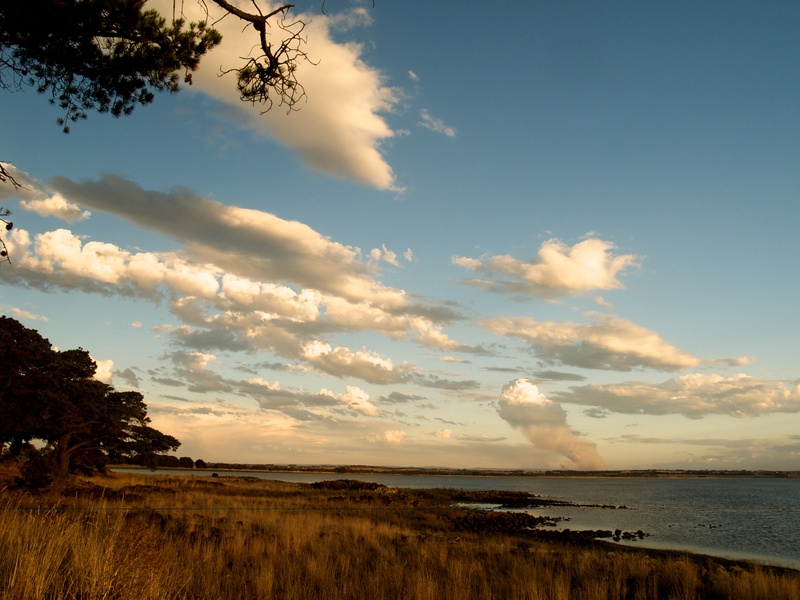 The park is also a camping ground which is very popular with caravaners travelling around Australia. Despite only offering basic facilities it does not charge fees. 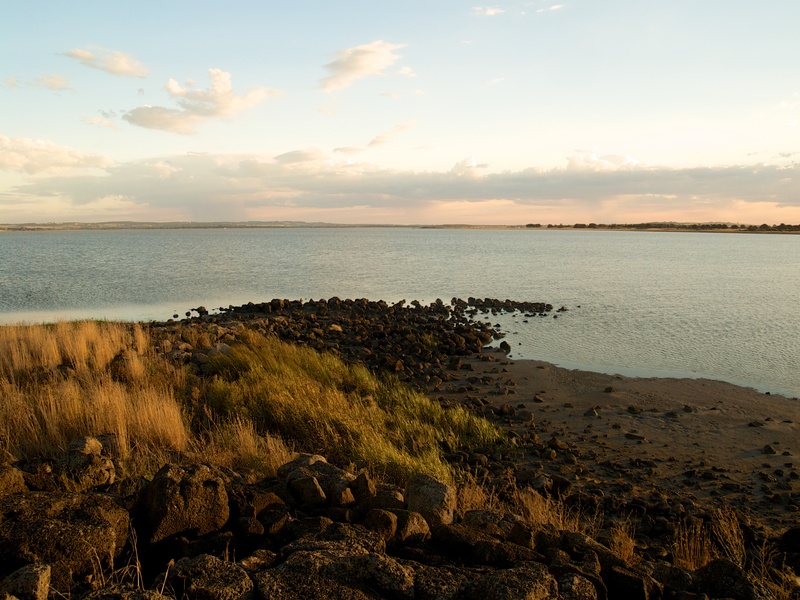 Sunset – taken standing at the boat ramp. Last night Mother Nature put on her best. 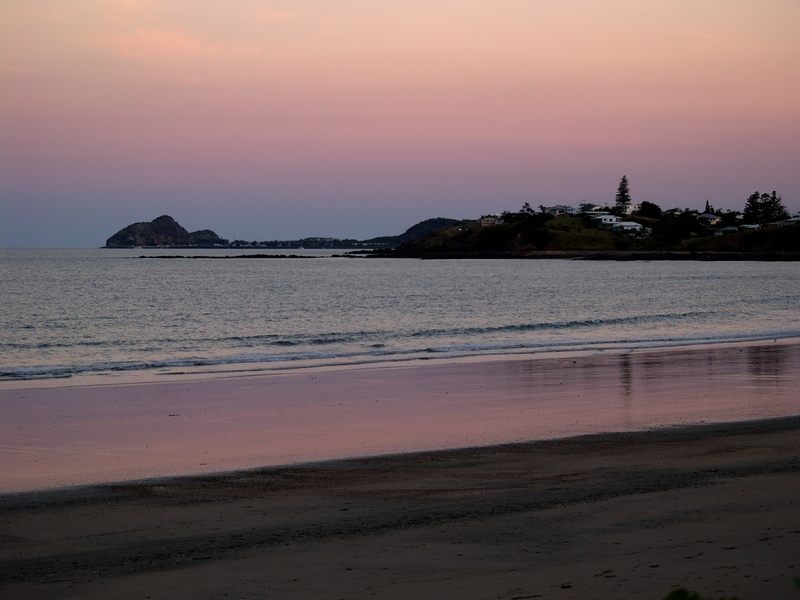 This is the Main Beach at Yeppoon in Queensland, Australia, at nightfall.